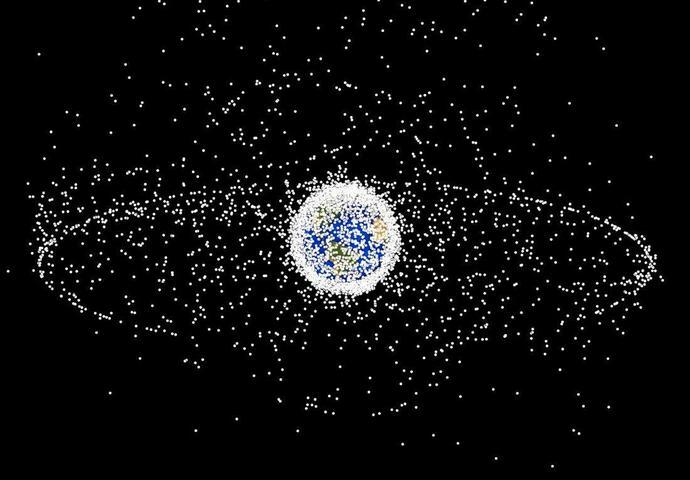 Northolt Branch Observatories has posted a video that captured a so-called “empty trash bag object” orbiting Earth with an unusual, retrograde trajectory. What distinguishes this piece, named, A10bMLz from objects previously found is its distant orbit. According to the observatory, the object was first spotted on 25 January by ATLAS-HKO – a telescope located in Hawaii (at Haleakala) as part of the NASA-funded early-warning asteroid alert system. The “empty trash bag object” is orbiting at an average distance of 262,000 km from Earth and has a highly elliptical orbit. The observers also point out that it has “an extremely high area-to-mass ratio” of 35 m²/kg. This is a sign that the object is extremely light and has a mass of less than 1 kg. Because of this, pressure from solar radiation changes its orbit erratically, so it is hard to forecast its future trajectory. However, the researchers predict that the “trash bag” could enter Earth’s atmosphere within a few months. At the same time, the object has a diameter of several metres. The sky watchers suggest that it is probably metallic foil from a rocket that was left after some launch. However, the scientists are unable to say when A10bMLz’s space journey began.